Do you want a QWERTY slider phone on Verizon? Then your options are pretty limited at this point. 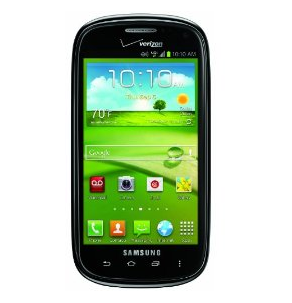 And by "limited," I mean this is basically your only one: Samsung's Stratosphere II. It's WVGA-tacular! It's also free if you use your existing Verizon customer upgrade over at Amazon Wireless, which is a good deal. I guess. New customers looking to get in on this not-exactly-bleeding-edge slider will have to fork over a Benjamin, though $100 is still thirty bucks less than what Verizon will charge you.